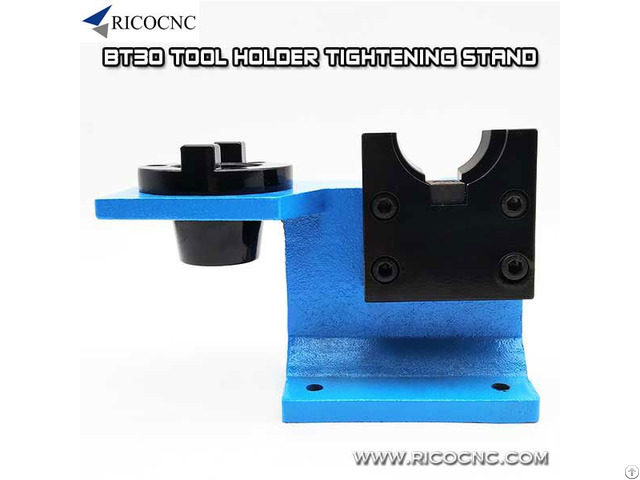 This cnc tools is the top mount universal horizontal vertical tightening stand for BT30 tool holders. 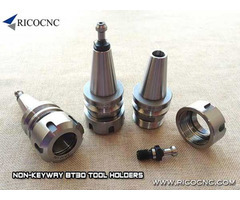 It is for BT 30 toolholder spindles. 1, Two positions, enables strong gripping power of cutting tools in horizontal & vertical positions. 2, Usage on BT30 tool holders. 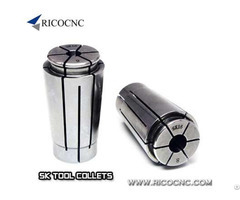 3, Maximum protection of tool holder, black part material is aluminum, it contact with BT30 toolholders, as aluminum is soft than cnc toolholders, it protects the tool holders well. 4, Other part is casting iron, last very long time. 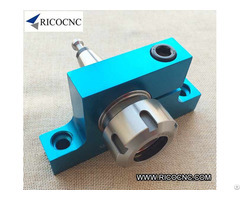 RICO CNC also supplies a line of cnc accessories, such as cnc spare parts, cnc router bits, cnc tool holders, cnc tool collets, tool holder locking device, cnc tool gripper forks, etc.